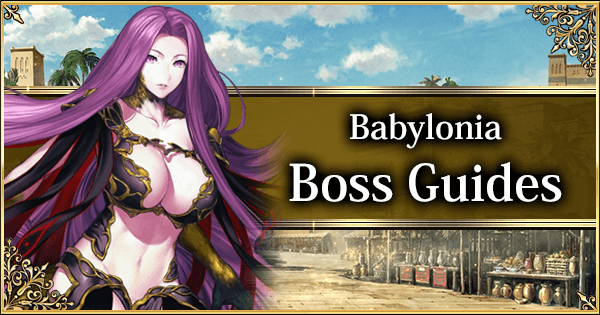 Learning with GamePress: Babylonia Q&A! Final Update: 12/09: Walkthrough now fully complete and verified. The spoilers in this walkthrough are limited to what enemies you will face in a particular node. Every major boss encounter is initially hidden. 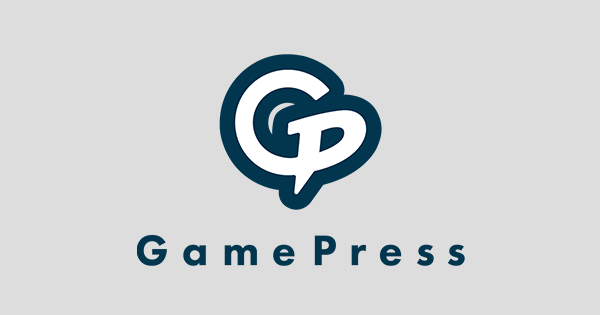 Press the New Monster Information or Boss Information headers to see specific spoilers, advice and/or tips. 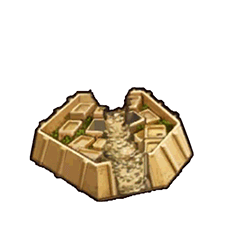 Generally, Masters who managed to clear Camelot should not have any issues with Babylonia. 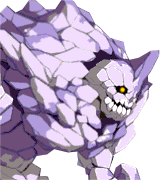 Unlike Camelot the bosses are generally less difficult and less gimmicky. There are 3 Boss Guides for this Singularity. Have fun and enjoy the story! These beasties are usually not very threatening and often just filler mobs. Click the New Enemy Information below for specifics. The Uridimmu is a typical Rider Mob. They act up to twice per turn. 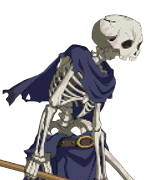 Their only skill increases their chance to critical hit significantly until they crit once. At full charge they do a fairly damaging special attack that applies a critical star generation debuff. They counts as Wild Beasts. These are really just reskinned Soul Eaters. Flames, so hot right now. 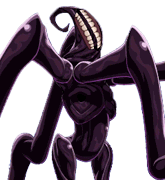 The Ušumgallu is a variant of the Soul Eater. It acts up to three times per turn. 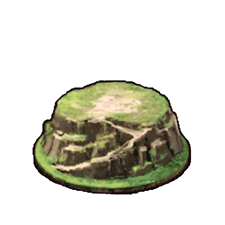 Its main skill reduces debuff resist with a chance for skill seal. At full charge they do a very damaging special attack that gives them Evasion & applies a burn to target. They count as Dragons, Wild Beasts & Demonic. Ch. 1 - 3 One large wave with multiple reinforcements. Nothing a few Assassins can't handle. Charge NP gauges during the first wave and dispose of it. 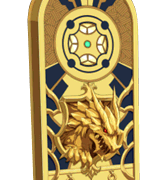 The Basmu is a variant of the Dragon. 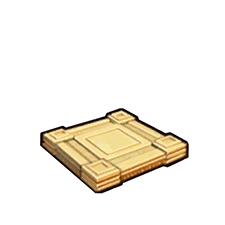 It acts up to three times per turn and hits all enemies. Its main skill charges their NP gauge (!). 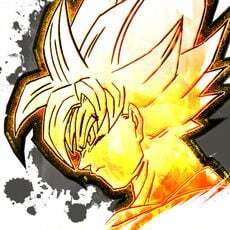 At full charge they do a very damaging AoE special attack that Curses and reduces critical damage. Its traits include Massive and Dragon. 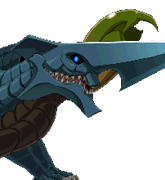 A dragon-type Lancer opponent, dust off Siegfried! 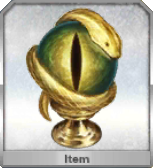 The Mušḫuššu is a new draconic Lancer Mob. It acts up to twice per turn. 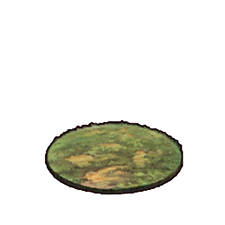 Its main skill grants them a minor defense boost and imbues their next attack with a long poison. At full charge they do a damaging special attack that reduces defense. Its main trait is that it counts as a dragon. Ch. 2 - 2 First Boss encounter. Click the Boss Information below for specifics. 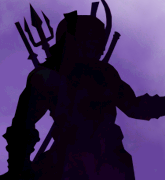 A teaser for what is to come! Defeating Enkidu is optional here. 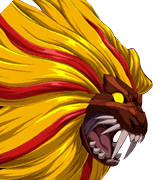 The fight ends after around 11-13 turns or earlier if Enkidu has reached a critical HP amount (~200,000 or lower). 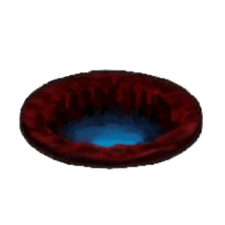 It is possible to chew through the entire HP too with enough damage. 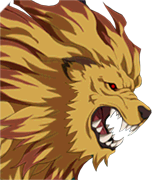 Enkidu will not use their NP, instead using their Extra attack at full charge. In any case, charge NP gauges during the first wave of filler mobs, and consider bringing Sabers for damage/survival. Ch. 2 - 3 A standard Wyverns into Basmu node. Bring a strong Assassin to sort them out. 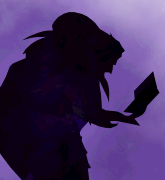 The HP counts are quite high for newer Masters rushing through the story. 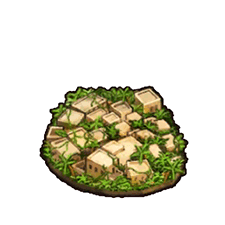 Have an NP ready for the final wave. Ch. 2 - 4 Bunch of different classes, bring a Berserker/Avenger if needed. Kill the Chimera in the final wave quickly to avoid any critical shenanigans. Ch. 2 - 5 Pure Story Chapter. 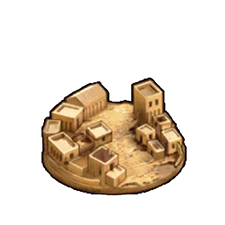 Babylonia is the first singularity with plenty of non-combat sections. Ch. 3 - 1 Bring some Riders to clear the Caster enemies. 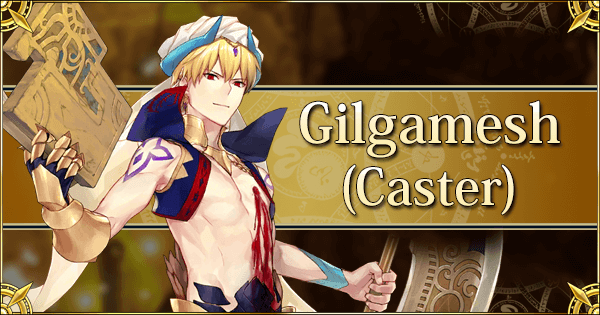 See Gilgamesh's Servant page for his abilities, but his abilities aren't threatening as an opponent. Ch. 3 - 2 A much more annoying single wave node, bring competent (AoE / anti-Divine) Lancers. 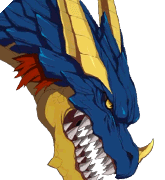 There is no opportunity to charge NP bars and Ishtar can charge her's quickly. Still, she won't use her NP - only her Extra attack - on a full charge bar. Ishtar can charge her NP. Ch. 4 - 1 Pure Story Chapter. Ch. 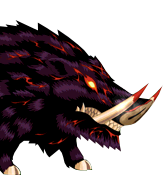 4 - 2 First time that Demon Boars appear in the main story. 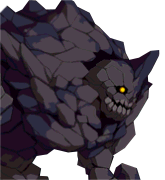 They do hit fairly hard, can charge their NP, and can act twice. Generally, as with all Berserkers, just pile on the offense. Ch. 4 - 3 Bring some strong offense to avoid any charged attacks from the Archers. Ch. 4 - 4 One large wave of Reinforcements. A strong Saber ought to suffice. Ch. 4 - 5 Pure Story Chapter. Ch. 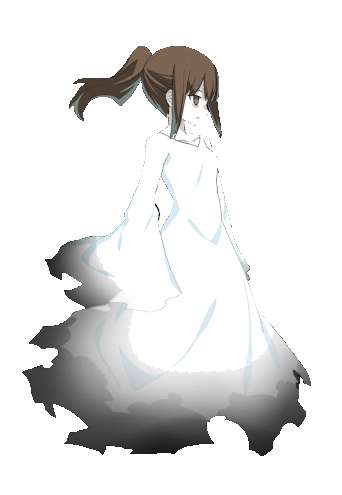 4 - 6 Remember those annoying massive ghosts from Camelot? Well, it's back and it negates buffs when it decides to. 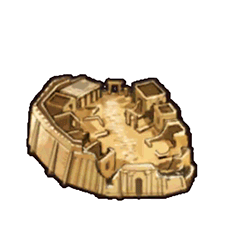 Bring some competent Casters and Berserkers, and try to dispose of it quickly. Ch. 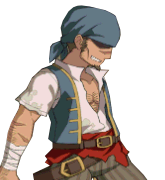 5 - 1 Benkei can be distracting, but as soon as Ushiwakamaru falls there is no offense left. Bring an Assassin or Berserker and pounce on Ushiwakamaru. Nonetheless, a simple node with Sabers. 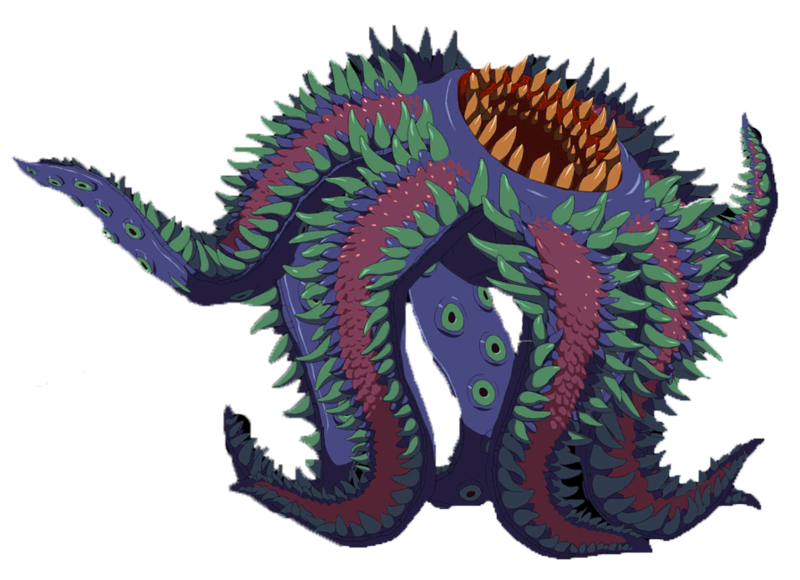 The Mušmaḫḫū is a new variant of the demonic Gilles horrors. 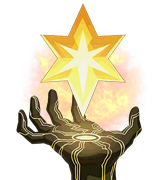 Its main skill reduces an enemy's debuff resist, NP gain and star generation. 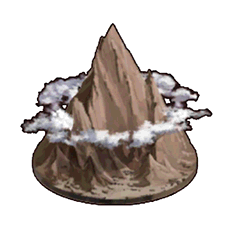 At full charge it unleashes a damaging special attack that seals skills & NPs for a single turn, and it debuffs attack by 20%. It has the demonic trait. Ch. 5 - 3 A nasty node if caught unawares. The first 2 waves contain the always crit-happy Chimera, while Jaguar Warrior gains a bonus charge per turn in wave 3. 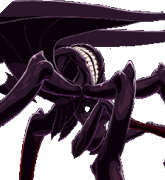 With an additional extra (small) damage reduction buff & the benefits of a Forest stage, and this fight can turn ugly. 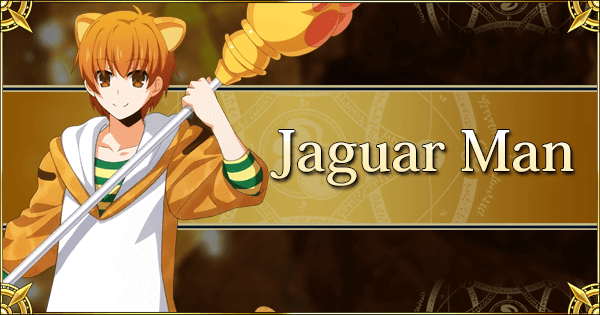 Bring a strong Saber and try to finish off Jaguar Warrior quickly, but do not overstay your welcome with the Chimeras. Ch. 5 - 4 Round 2! 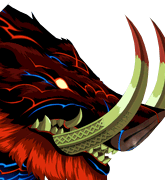 Jaguar Warrior has the same buff as last time, but there are no preceding waves. She also possesses far more HP. Bring an excellent (ST) Saber to finish her off quickly. 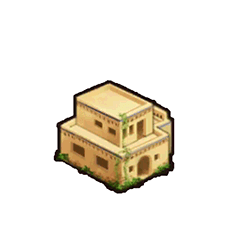 Note: her NP grants Sure Hit, so do not rely on Evasion to tank her NP. Ch. 6 - 1 Spriggans, everyone's favorite critical mob. These Spriggans are not Sabers, but Rider and Assassins. 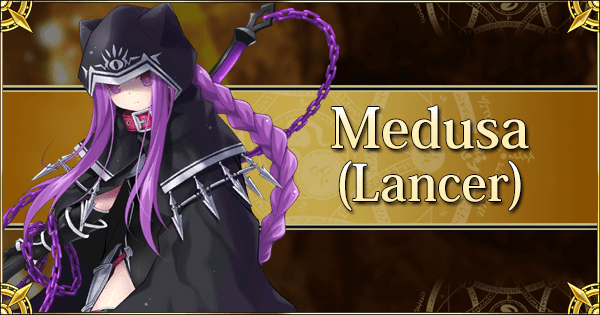 Bring a good Berserker, or Medea for a nice budget option to remove their buffs. Ch. 6 - 2 Boss encounter. The clay is back for a second round! Defeating Enkidu is far harder here, and entirely optional. The fight ends after about 7-8 turns. 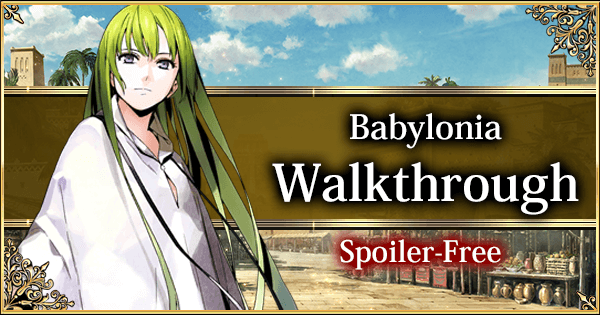 Enkidu does use their NP now, but the short turn limit should prevent any team from losing. Ch. 7 - 1 Nothing special, bring the appropriate counter-classes or a Berserker. Ch. 7 -3 Another round of combat with Ishtar. This time she brings a permanent defense buff, but still will not cast her NP. 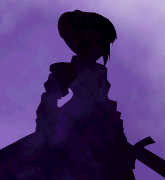 Bring some (anti-divine) Lancers and she'll be a goner in no time. Ch. 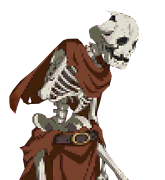 7 - 4 Another massive ghost, but simply charge NP gauges on the Skeletons to get rid of it immediately. Ch. 8 - 1 Pure Story Chapter. Ch. 8 - 2 N/A. Ch. 8 - 3 Pure Story Chapter. Charge NPs on the first two waves to clear this node without too much difficulties. To circumvent class problems, field a Berserker/Avenger. 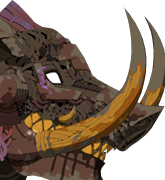 The Ugallu is a new beefy Rider mob. 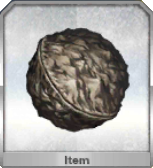 Its main skill increases the critical chance significantly of all enemies until they each crit once. At full charge it unleashes a damaging special attack that has a chance to remove buffs. 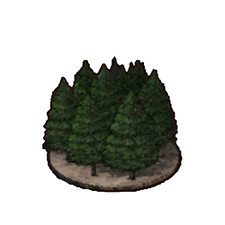 It has the the wild beast trait. Ch. 9 - 2 Boss Encounter. See Boss Information for details. Another fight limited by turns. This fight ends after 6-10 turns. Tiamat herself has far too much HP to bother with, and heals each turn to boot. She is also accompanied by various flunkies. Tiamat always finishes the enemy's turn with a full heal to all her beasties. The extra mobs do actually have a chance to drop loot! Thus, a nice optional challenge is to try and one-shot each add for extra loot until the fight ends. Observe Tiamat during the fight to familiarize yourself with her abilities. Ch. 9 - 3 Boss Encounter. This fight is a bit more strict and it is possible to fail. This fight ends after a set amount of turns (~10-15) if stalling. 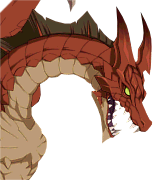 Damaging Tiamat significantly can cause her to retreat earlier. The observant Master may have noticed Tiamat's hit counts are insane. Her basic attacks charge an incredible portion of the charge bars of all your Servants each time. Berserkers and Avenger Servants can fairly easily do back-to-back NPs. The story support Merlin can also sustain a team easily if necessary. 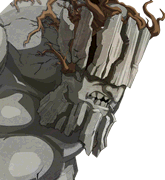 In any case, Tiamat possesses Gorgon's skills as well as her own unique party-wide stun. 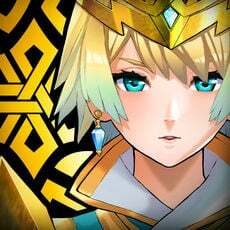 Ch.10 - 1 Once more a chapter starts with a variety of gold Monsters. Field competent class advantage or simply exploit Berserkers. Ch.10 - 2 The Onigashima Oni return. 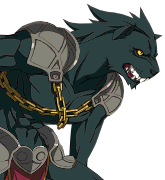 They're quite vulnerable to anti-demonic and anti-male Servants, or simply smash them to pieces with Berserker/class advantage. Ch.10 - 3 Boss encounter. Ishtar starts the fight permanently debuffed with NP damage down, but buffed with extra defense and debuff resist. 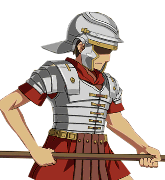 The Saber flunkies are annoying for any Lancer Servants, but are not too large of a problem. Ishtar can charge her NP gauge (with a chance for Invulnerability), so be careful. 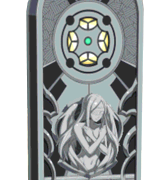 A good (anti-divine) Lancer should carve through her, and even the story support Merlin is not a bad choice. Ch.10 - 4 A rather annoying node, with plenty of high damage Berserkers. 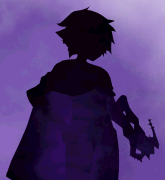 Do not linger too long, and try to have an NP ready for the final wave. Giant Demon Boars are some of the worst monsters out there. Ch. 11 - 1 Pure Story Chapter. Ch. 11 - 2 Boss encounter. This fight ends the turn after she NPs. Do not let the Lucha Libre fool you. Experiment a little here, this is just a teaser. 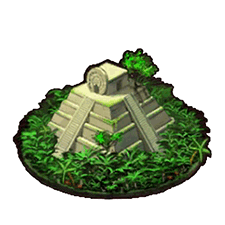 Quetzalcoatl takes 0 damage from good aligned Servants and half from Balanced and Evil Servants. This buff cannot be removed. Evil/Balanced Assassins and those without the standard alignment are the best options. A full guide is available for the next time she shows up. Ch. 11 - 3 A veritable onslaught of different class Werejaguars. 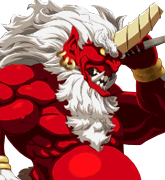 Still, nothing a Berserker can't smash. 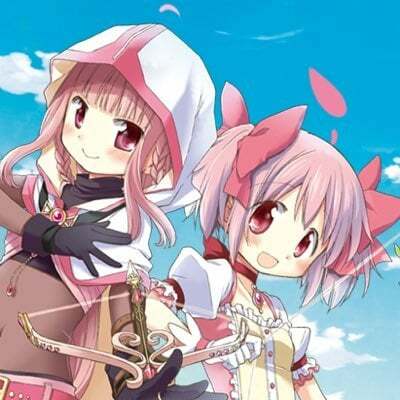 The Rider ones are the strongest, so bringing an Assassin is fine too. Ch. 11 - 4 Pure Story Chapter. Ch. 12 - 1 No special gimmicks, but a fair chunk of Lancer HP to chew through. Should be an easy node. Ch. 12 - 3 Another Wyvern node, but with a Sphinx at the end. Bring a Berserker or a Rider. Ch. 12 - 4 WARNING: CHOICE OF DIALOGUE AFFECTS DIFFICULTY! 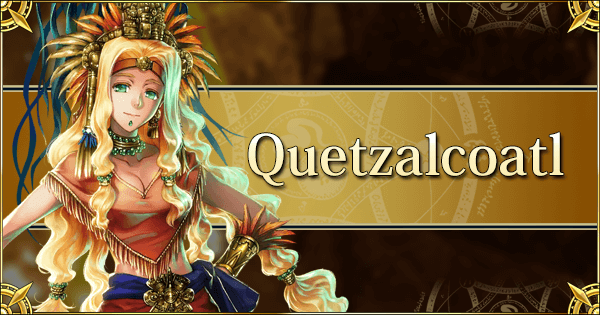 Click the image above to head to the in-depth Quetzalcoatl guide. Selecting the option NOT to celebrate with her will reduce the difficulty. TL;DR: Heracles (unaffected by protection) and Jack are excellent damage options. 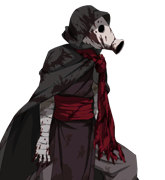 She crits really hard, bringing proper supports (such as Mash) will prevent freak critical deaths. Nero Bride, Lancelot & Tamamo Summer are unaffected by her demerit as well. Ch. 12 - 5 Pure Story Chapter. Ch. 13 - 1 These Spriggans all have an anti-divine damage buff. They're all Sabers though, so bring Archers and go to town. Ch. 13 - 2 N/A. Ch. 13 - 3 Fairly diverse enemy composition, consider a Berserker/Avenger. 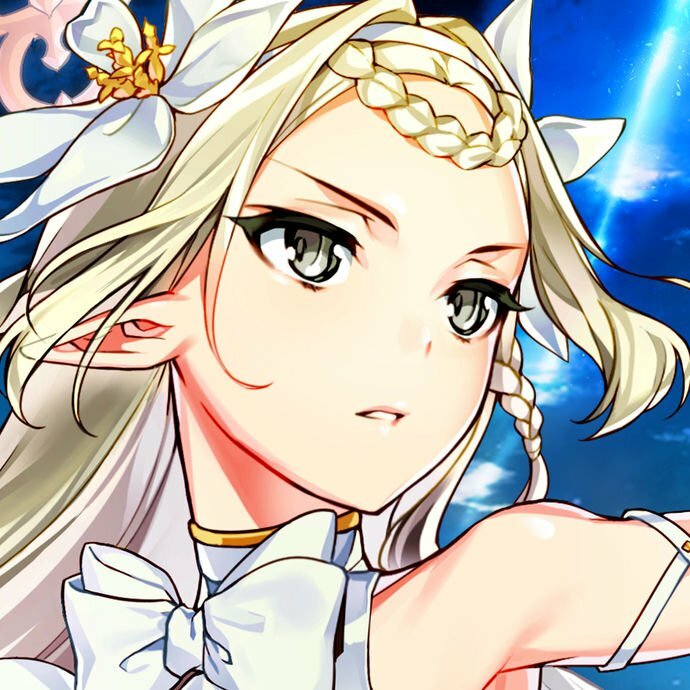 During this Chapter, selecting a preference for either goddess will affect the enemy composition. Generally, selecting any option that prefers Ishtar (usually option 1), makes the node harder. 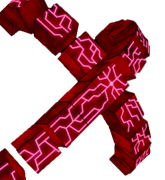 Mobs have more HP, higher levels and thus do more damage. Ch. 14 - 3 No Choice involved. The mixed classes make it preferable to field a Berserker to dispose of the dragon quickly. Plenty of Assassins in either choice, and they should be primarily countered. This node is pretty evil depending on which choice is made. 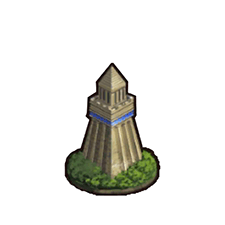 Generally, the Ruler node is countered a little more easily with a powerful Berserker or Avenger. 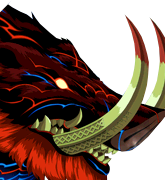 These large boars can charge their NP, so be careful. Ch. 14 - 6 This choice affects the difficulty of the upcoming fight massively! This fight is much more difficult if a Master chooses to favor Ishtar. The ghost is much higher level and has more HP. 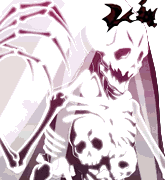 Ereshkigal is in the form of a massive ghost and hits all opponents. Each turn she will seal all enemy skills, NPs and reduce healing effects. Bringing high passive magic resistance Servants, high rarity Sabers and additional debuff cleanses will greatly help. The Atlas Institute Uniform combined with a cleansing Servant can do excellent work. Cleansing at the right time for a powerful Saber NP will often do the trick. Ch. 14 - 7 Pure Story Chapter. Ch. 15 - 1 Bring some Riders to clear the Caster enemies. Be prepared for an influx of ALL Experience. Ch. 15 - 2 < a> N/A. Ch. 15 - 3 Straightforward, but a lot of Reinforcements. Ch. 15 - 4 Full Rider node. Bring Assassins and demolish them. Ch. 15 - 5 Boss encounter. Time to put this Avenger down. 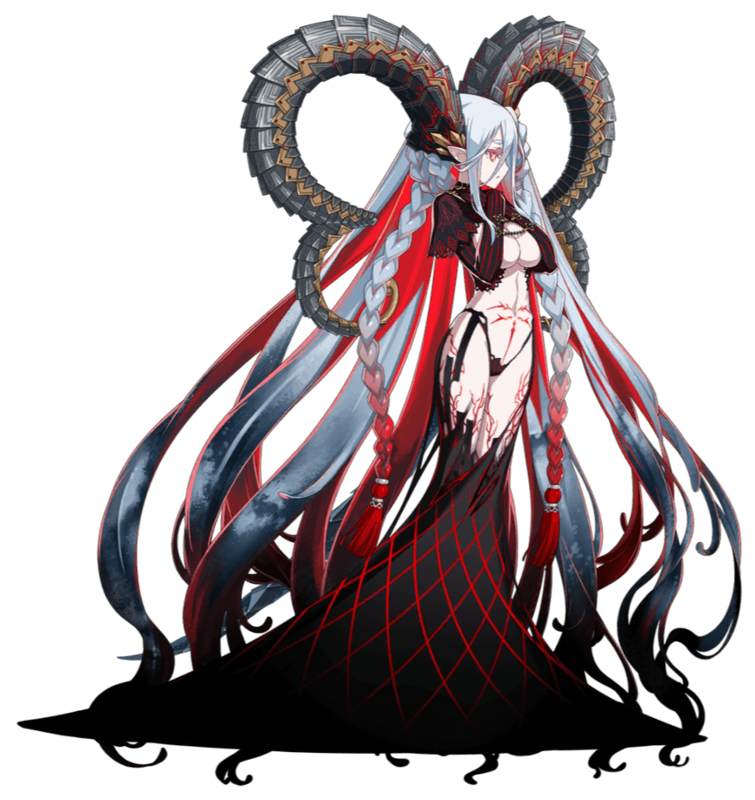 Tiamat has access to all of the skills her normal counterpart has, which include a single turn attack buff, a stun and a guts/critical buff. Additionally, she has access to a dangerous full party-wide stun skill. Despite a vast amount of HP and the Avenger class, Tiamat isn't terribly hard due to her basic attacks filling your NP gauge very quickly. Berserkers can deal tremendous damage to her, but anti-trait (Jack,etc.) work quite well too. Bringing a support to keep the team alive is also preferable. Ch. 15 - 6 Boss encounter. 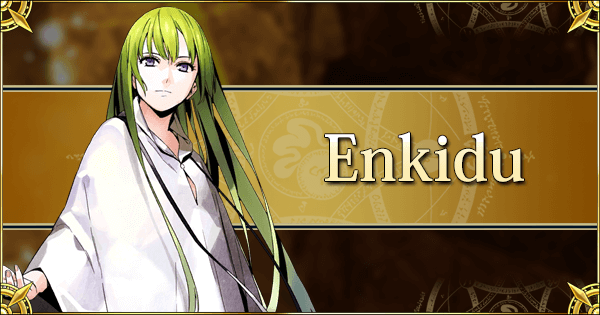 This Enkidu belongs to the Avenger class, and possesses all of Enkidu's skills and a bonus passive. These skills include a single turn steroid, a star generation/dodge removal debuff and a 10,000 heal/debuff cleanse. 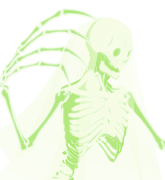 The bonus passive seems to grant "Enkidu" an additional charge to his bar every second turn. 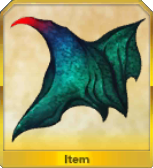 The NP slightly changes as well in that it adds a curse debuff to the target. The biggest problem in this fight is the Avenger class preventing an easy answer via class advantage. 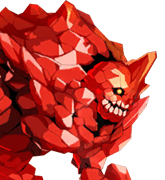 Berserkers do work, but be prepared to tank 1-2 NPs. Bringing a decent support like Waver/Mash/Story Merlin also works well. The mob has to be defeated 3 times, so space NPs accordingly. 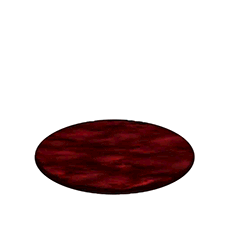 Its main skill removes buffs and decreases defense by a large amount. At full charge they do a damaging single target special attack that reduces the effectiveness of Buster cards immensely for 3 turns. Their only notable trait is Evil. Ch. 17 - 1 These nodes are single class, and despite the Lahmu's high damage, easily countered. Bring a powerful (AoE) Saber to clear them. Ch. 17 - 2 A tragic node. Not all difficulty is in game mechanics. Ch. 17 - 3 Still single class, still easily countered. Bring a powerful (AoE) Saber to clean up the reinforcements quickly. 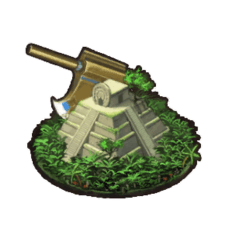 Bring an Archer or Berserker to clean up the Saber boss. This Saber mob acts up to three times per turn. 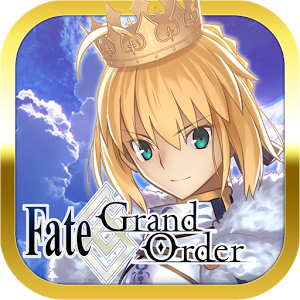 Its main skill removes buffs and decreases an NP gauge by 20%. At full charge they do a damaging single target special attack that reduces the effectiveness of Arts cards immensely for 3 turns. Ch. 18 - 1 Boss Encounter. Tragic, yet Ushiwakamaru returns as a Berserker opponent. Next to being flanked by 2 Lancer Lahmus, Ushiwakamaru charges her NP bar to full at the end of every turn. 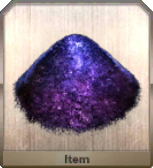 Her NP hurts and is enough to kill every Servant if not protected against. The Lahmus can cleanse buffs before she acts. Ushiwakamaru can use her skills if she can't NP. AoE Sabers are strong here, but focus most of all on bursting Ushiwakamaru down. Stuns, NP drains, etc. can buy plenty of valuable time. Ch. 18 - 2 Boss Encounter. Click the image above to head to the in-depth Berserker Ushiwakamaru guide. 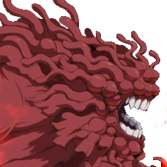 TL:DR: The second fight With Ushiwakamaru features 6 Berserker versions of her with low hp. 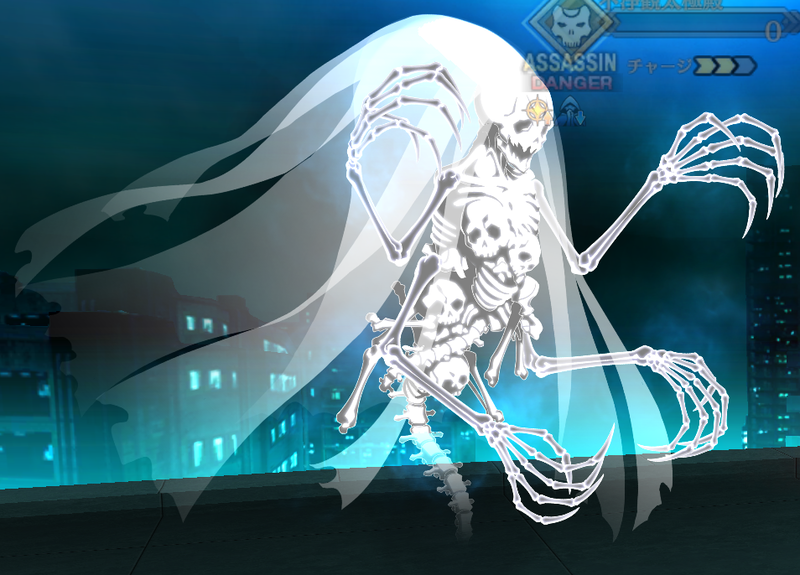 Much like the previous fight, her NP is always charged to full at the end of the turn. 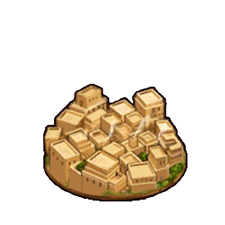 Bringing Servants who can instantly (AoE) NP proves incredibly valuable. Go full on the offense or misdirect her NPs, as long exposure to repetitive Ushiwakamaru NPs is a recipe for disaster. Ch. 18 - 3 Pure Story Chapter. Ch. 18 - 4 A diverse, but not very dangerous list of mobs. Bring Berserkers, or a strong Saber for the final wave. Ch. 18 - 5 Boss Encounter. Ch. 18 - 6 Pure Story Chapter. 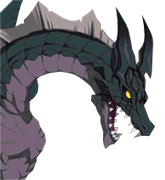 Tiamat is the first opponent of the Beast II class. 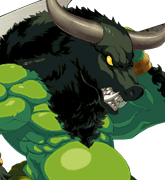 The Beast II class has no class advantages or weaknesses except in one extreme case. Tiamat herself does not attack. Rather, she debuffs everyone (even her allies on the field). 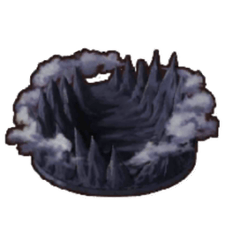 The strength of these debuffs are fairly strong, ranging from reducing stats to skill seals and NP seals. However, if the Lahmus die, the fight is won. Bring some Sabers and get rid of her. Ch. 19 - 1 Pure Story Chapter. Ch. 19 - 2 Pure Story Chapter. Ch. 20 - 1 Pure Story Chapter. Ch. 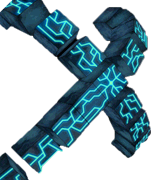 20 - 2 This node marks the beginning of the Chaos Tide effect. Every turn, the party receives 300 damage. Apart from that, it's a straightforward node. Ch. 20 - 3 The Chaos Tide effect intensifies. Every turn, the party receives 600 damage. The Chaos Tide is rather annoying if the fight drags on..
Ch. 20 - 4 A Quake effect that immediately scrambles the team composition randomly among all 6 Servants is now active. The 600 damage Chaos Tide is also still in effect. 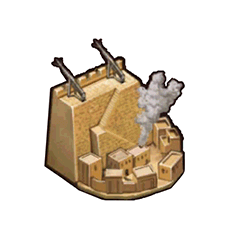 Fill up on Archers as this node has a single powerful Bel Lahmu. 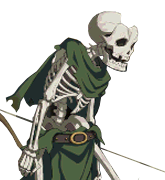 If short on Archers, use the Chaldea Combat Uniform's Order Change ability to force the Archer to the frontline. The Bel Lahmu mobs are really beefy, so long exposure to Chaos Tide is likely. Ch. 20 - 5 Boss Encounter. Click the image above to head to the in-depth Altered Ushiwakamaru guide. 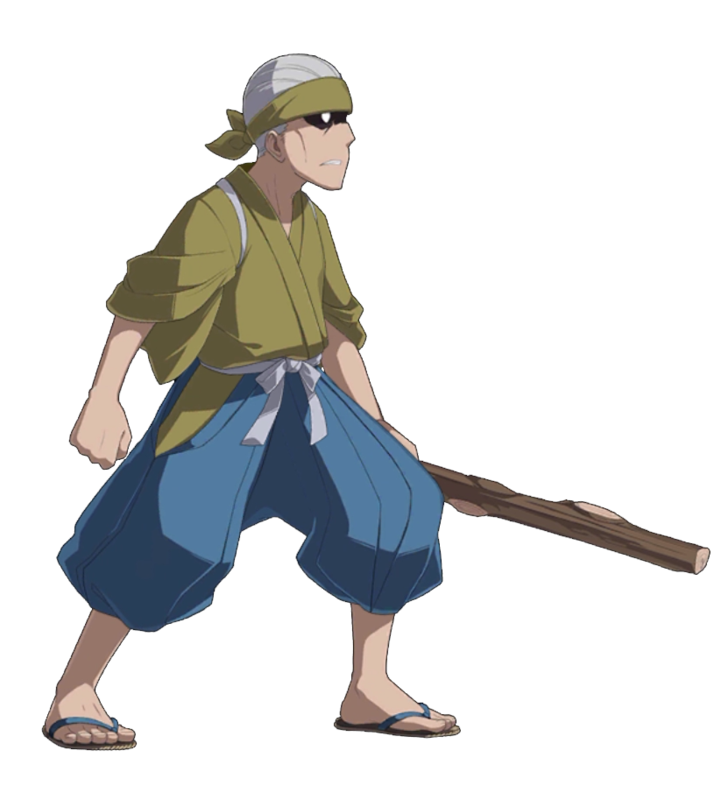 TL:DR Ushiwakamaru returns with a Hidden class that provides no class advantages or disadvantages. The main body (on the right hand side), will always create a clone if there are empty spaces in the enemy team. Mercifully, she does not charge her NP gauge to full every turn. Both Quake (team scramble) and Chaos Tide (now 1200(!)) damage) are in effect. Ideally, create a team that can be scrambled and still be competent. Nuke down the main Ushi body ASAP. 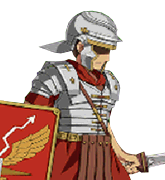 Powerful supports such as Waver, Hans or Mash are excellent at keeping the team healthy long enough to unload their NPs. Note that Ushiwakamaru can still cast her normal skills, thus probably making her able to charge her NP bar teamwide. Ch. 20 - 6 Both Quake and Chaos Tide (1200 damage) are in effect. Ch. 20 - 7 Only Chaos Tide (900 damage) is in effect. 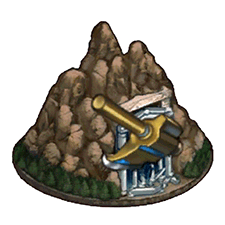 Fill up on Archers as this node has two powerful Bel Lahmu. Ch. 21 - 1 N/A. Ch. 21 - 2 Pure Story Chapter. Ch. 21 - 3 A 3000 damage Chaos Tide is now in effect. 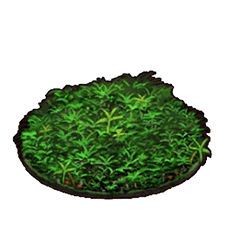 However, the Blessing of Kur & Mage of Flowers buff Servants with a 50% damage buff, 50% damage reduction, 50% NP gain, 10,000 extra MAX HP and 4000 healing at the end of every turn. Unleash some Archers on this Bel Lahmu. Ch. 21 - 4 Borrow the neat story support! Enemies are extra vulnerable to instant-death in this quest. Both the 3000 damage Chaos Tide and the Blessing of Kur & Mage of Flowers buffs are in effect. Note that this quest isn't difficult, so much that it is long. The final evolution of the Lahmu mobs. These share the same neutral class characteristics as Tiamat. These Bel Lahmu act up to three times per turn. 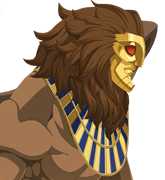 They possess all the skills of their previous forms as well as a new taunt on enemy and Invulnerability Pierce skill. 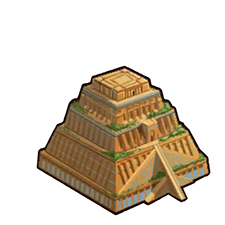 At full charge they do massive damage to a single target and reduce the effectiveness of their Quick cards immensely for 3 turns. Ch. 21 - 5 Boss Encounter. Chaos Tide, Mage of Flowers, and Blessing of Kur are still in effect. 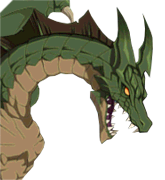 Tiamat acts three times per turn, hits all targets normally, or a single target if she crits. 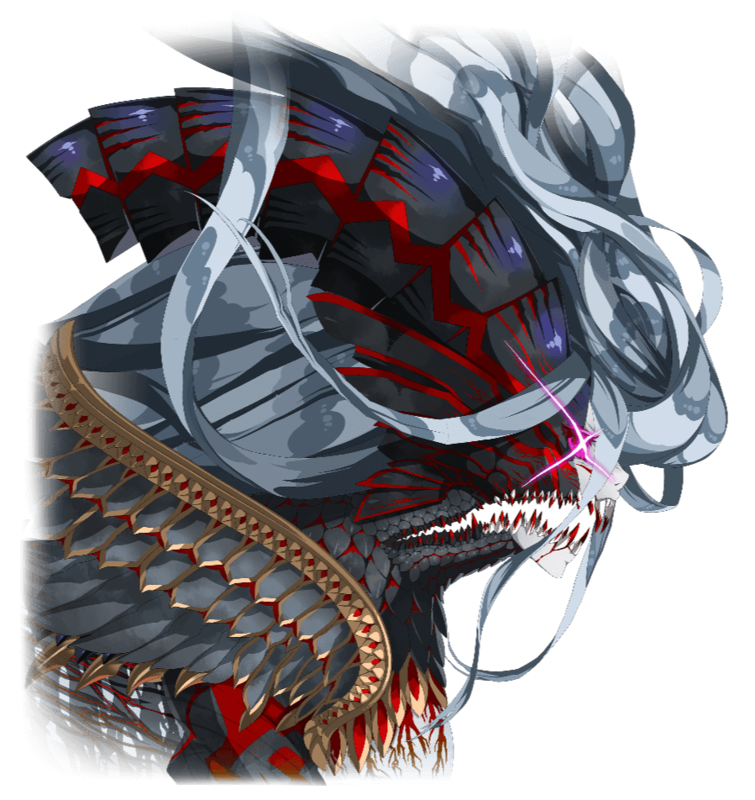 Tiamat has access to a host of skills, such as charging her entire charge bar, sealing NPs, removing all buffs while cleansing her own debuffs, to simply imbuing her attack with more minor debuffs such as critical star generation down on normal attacks. Her special attack does a decent amount of AoE damage and also applies a buff block for 1 time. 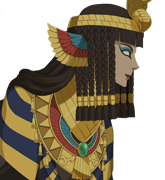 Honestly, though, none of it truly matters as a competent team can smash her very quickly due to the Blessing of Kur. The story support Merlin is also at full power and will carry anyone through this fight. Ch. 21 - 6 Boss Encounter. It's highly recommended to experience the unique lines from the story support for this fight. 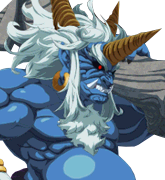 The fight is pretty much the same as last time, enjoy the climax of fighting the Beast. Ch. 22 Pure Story Chapter. This is just a Spoiler Protection tab to create uncertainty for unspoiled players. There's nothing here, sadly. Go to one of the other tabs for the walkthrough.